Renowned UK spy thriller Spooks is set to become a feature film. Kudos Film & TV and Shine Pictures will produce the film titled Spooks: The Greater Good, written by Sam Vincent and Jonathan Brackley. The Greater Good picks up shortly after MI5 apprehends a terrorist mastermind only to lose him in a routine prisoner transfer. Section D Chief Harry Pearce is blamed for the error, kicking off an investigation into a massive conspiracy which spans the globe. 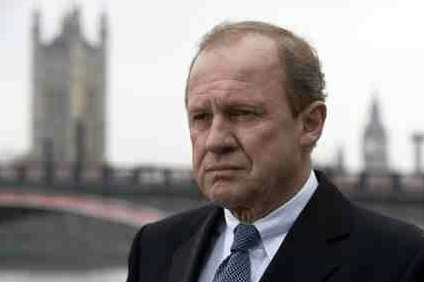 Peter Firth, who appeared in all 10 seasons, will be reprising his role as Pearce, while further casting is to be confirmed. Spooks, which ran for 10 seasons, also starred Matthew Macfayden, Hermione Norris, Lara Pulver, Keeley Hawes, Rupert Penry-Jones and Nicola Walker. Bharat Nalluri is attached to direct, while Jane Featherstone and Stephen Garrett will produce. Production is slated to commence in 2014.